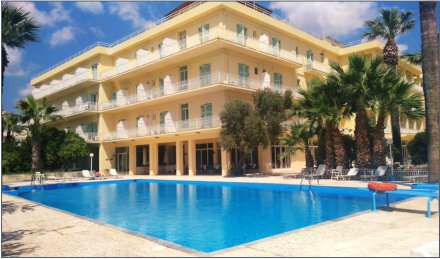 Our Hotel is besides the beach, and 300m distance from the commercial centre of Nea Makri. 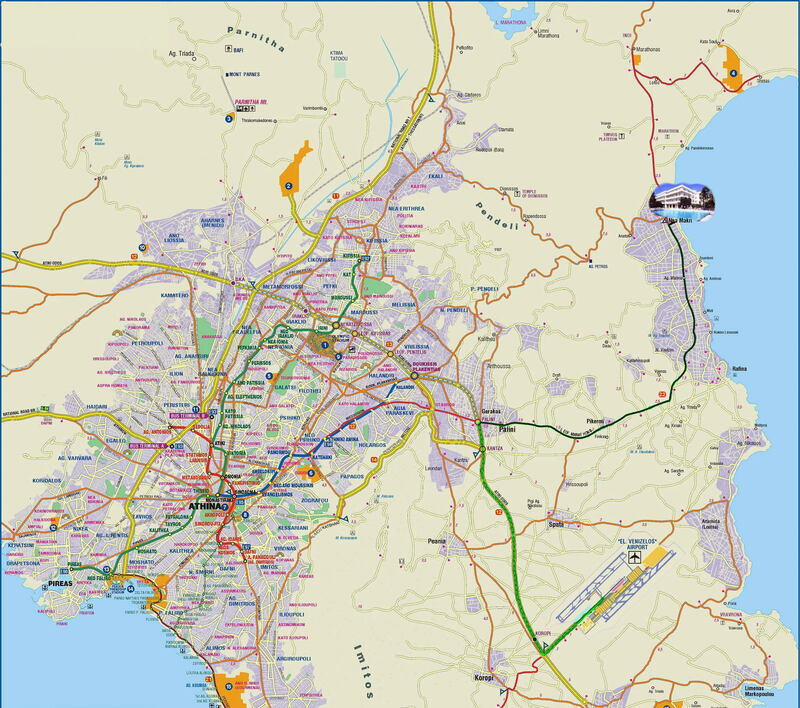 It is also, 32km north-easterly of Athens, connected with very regular transport buses. (ktel Attika) Still, it is very near the archaeological spaces of Marathon and the harbour of Rafine, from where daily boats for the islands of Aegean leave. You can reach Nea Makri from the airport "El. Venizelos" via "Attica Road", turning right at the road sign Pallini, entering Marathonos Avenue. you continue until you reach in our city, where you direct in the beach that our hotel is situated. How to reach our hotel with Transportation. Haw to reach with Taxi. Our Hotel is besides the beach, and 300m distance from the commercial centre of Nea Makri. It is also, 32km north-easterly of Athens, connected with very regular transport buses. (ktel Attika). Still, it is very near the archaeological spaces of Marathon and the harbour of Rafine, from where daily boats for the islands of Aegean leave. You can reach Nea Makri from the airport "El. Venizelos" via "Attica Road", turning right at the road sign Pallini, entering Marathonos Avenue. you continue until you reach in our city, where you direct in the beach that our hotel is situated.